Hiring the right professional agency can be a difficult and complicated process. Businesses need to find experts that understand their brand value, target audience and goals. Then, agencies must execute initiatives that meet those criteria and deliver business-building results. DesignRush aims to make the process of choosing an agency partner a little easier. We give brands more information all in one place. This saves businesses’ valuable time and energy spent on research and outreach. Agencies: This category showcases everything from digital and creative agencies to logo and product design companies. Web, eCommerce & Apps: This category helps brands find top companies for web design, web development, eCommerce, mobile app design, user experience, AR/VR and more. Marketing: This category showcases the best digital marketing, SEO, social media marketing firms and beyond. Technology: This category features software development firms, cybersecurity companies, wearable tech agencies, hosting companies and more. The executive team behind DesignRush are previous agency owners and executives. They are uniquely qualified to determine the key performance indicators that agencies must meet to be featured. Some of the qualifications that agencies need to pass for are listed below. Companies that pass the test are then placed in an easy-to-view table. The best agencies have robust portfolios and extensive prior work that showcases their expertise in action. DesignRush evaluated each firms’ past projects, success rate, and overall return on investment (ROI). Only those who foster strong business growth made our list. These demonstrate how the agencies can identify and meet the needs of each business and provide concrete results. 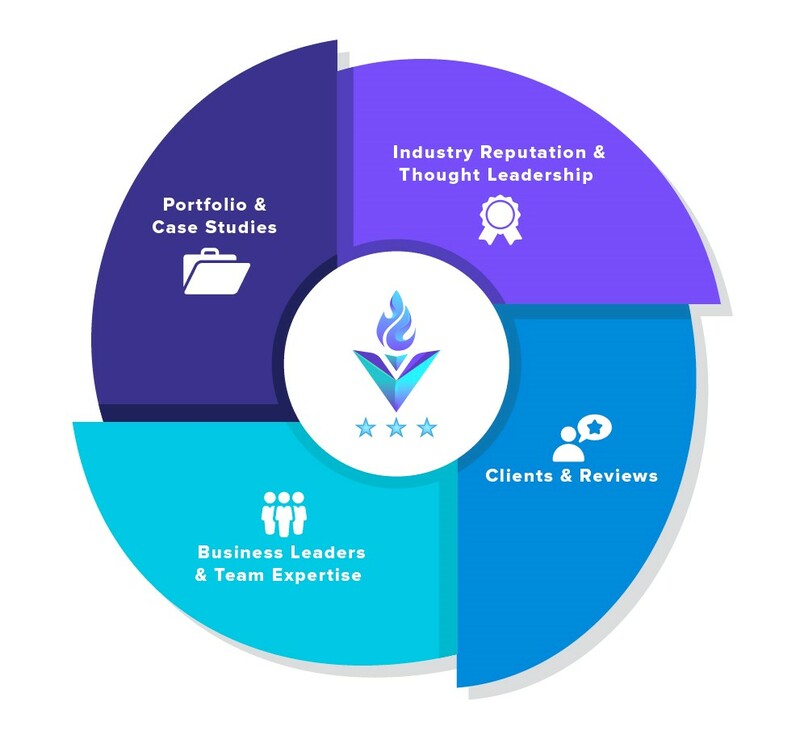 This detailed information about a potential agency’s will help businesses find the team that will understand your brand identity and meets your personalized needs. We examined the past and present clients of each agency. In addition, businesses can leave detailed testimonials sharing their experience about working with a partner firm and outlining the return on investment they received. To find the right agency for your next project, head to DesignRush’s Agency Listing section. Brands can discover the best professional firms in digital marketing, website design, app development, technology and beyond.